After Domaine d'Uby Colombard-Ugni Blanc and my articles about the different regions of the Southwest of France previously posted on this blog (www.LeDomduvin.com), today's post bring us back again in the Southwest of France, and more precisely in the "Vin de Pays des Côtes de Gascogne", with two really good value wines in white and red labeled under the name of Aramis (not to be mistaken with "Aramis Vineyards", a winery located in Mc Laren vale in Australia). When you think of Aramis, suddenly "d'Artagnan" and the writer "Alexandre Dumas" come to mind. As the region of origin of d'Artagnan, Gascogne is somewhat also coming to mind. Aramis a.k.a René d'Aramis de Vannes (born René d'Herblay) is a fictional character in Alexandre Dumas most famous novel: The Three Musketeers (Les Trois Mousquetaires). He and the other two musketeers Athos and Porthos are friends of the novel protagonist: d'Artagnan. They work together to bring peace to the king's court and kept the queen's affair with the Duke of Buckingham from being revealed by Cardinal Richelieu (who rose in both the Church and the state, becoming a cardinal in 1622, and King Louis XIII's chief minister in 1624), which audacity so impresses the cardinal he helps d'Artagnan into the Musketeers corps. The book is the first of a trilogy recounting the adventures of these Musketeers including the ambitious and unsatisfied profile of Aramis. Read the book for more info and entertainment. Once again, I get carried away in my details so let's go back to Gascogne and our wines of the day: Aramis. Gascogne or Gascony in English (and in Gascon: Gasconha) is an area of the southwest France that was part of the "Province de Guyenne and Gascony" prior to the French Revolution (1789-1799). The region is vaguely defined and the distinction between Guyenne and Gascony is unclear; sometimes they are considered to overlap, and sometimes Gascony is considered a part of Guyenne. Most definitions put Gascony east and south of Bordeaux. But in France, when people talk about Gascogne they mainly talk about three departments: Landes, Gers et Pyrénées; and more especially "Gers" for wine. However, the Gascogne region is currently divided between the Aquitaine région (which regroups the department of Landes, Pyrénées-Atlantique, south and west of the Gironde, and south of Lot-et-Garonne) and the Midi-Pyrénées Région (which regroups the départements of Gers, Hautes-Pyrénées, southwest of Tarn-et-Garonne, and west of Haute-Garonne). Gascony was historically inhabited by Basque-related people who appear to have spoken a language similar to Basque. The name Gascony comes from the same root as the word Basque. From medieval times until the nineteenth century, the Gascon language was spoken, which is a regional variant of the Occitan language. As previously said, it is also the land of local fictional character like d'Artagnan, but also Cyrano de Bergerac. Gascony has a great diversity of landscapes from pine tree forests in the Landes between Mont-de-Marsan and Dax, to more agricultural semi-plains between Agen and Auch and gentle rolling hills between Mont-de-Marsan and Orthez. French will tell you that Gascony is also famed for its "douceur de vivre" (sweetness or softness of life), its history and more importantly its culinary traditions. Gascogny is home to Foie Gras in the Landes near the town of Dax, and Armagnac (french brandy) in the Gers between the towns of Condom (the French town, not the contraceptive device for male what where you thinking...) and Eauze. The region of Agen encompasses some of the best orchards ("vergers") in France planted with Apple, Pear and Prune trees. The "Pruneau d'Agen" (dried dark prunes) are one of the specialties of the area. Its medieval towns and villages locally called bastides nested amidst green rolling hills, with the occasional distant views of the Pyrénées mountain range, all contribute to the popularity of Gascony as a tourist destination. Due to rural exodus, Gascony is one of the least populated areas of western Europe, although it has recently become a haven for stressed urbanites of northern Europe, more especially the British who, in search of quiet, space and peace of mind, have been, for the past 2 decades, increasingly buying second homes in Gascony. Madiran AOC: red wines produced with mainly Tannat 40-60% up to 100% for some of the best wines, usually blended with Cabernet Franc also called Bouchy, Cabernet Sauvignon and Fer, also called Pinenc. Pacherenc du Vic-Bilh AOC: sec and semi sweet and sparkling whites made with Courbu and Petit Manseng (at least 60% to 80% of the blend) blended with Arufiac, Gros Manseng and a touch of Sauvignon Blanc and Sémillon. Saint-Mont VDQS: created in 1981 and previously called Côtes de Saint-Mont, before the name was changed in 2007. Producing red and rosé wines with Tannat, Fer, Cabernet Sauvignon, Carbernet Franc and Merlot. 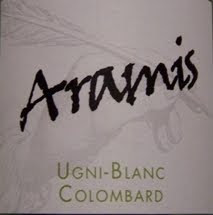 But also white wines made with Arrufiac, Gros manseng, Petit Manseng, Courbu and Clairette. and Tursan VDQS: a "Vin Délimité de Qualité Superieure" appellation created in 1958, producing red wines made with Tannat (40% maximum), Canernet Franc and Cabernet Sauvignon; but also some whites made with Baroque (30 to 90%), Gros Manseng and Sauvignon Blanc (more or less 10%); and some rosés made with Cabernet franc and Cabernet Sauvignon. Gascogne is also home for small patches of vineyards, located mainly in the department of Gers, outside of the cited above appellations (mostly designated under the "Vin de Pays des Côtes de Gascogne" appellation) owned by up-and-coming small artisanal producers and co-operatives making simple, well crafted, earthy, fresh and easy-going white wines made from the local indigenous grape varieties: Ugni Blanc (also known as Trebbiano in Italy) and Colombard for the whites (grapes also used in Cognac), as well as Gros Manseng (the white grape mainly used for dry Jurançon wines) and a touch of Chardonnay and Sauvignon. Less well-known, the few reds produced under the "Vin de Pays des Côtes de Gascogne" appellation are also made mainly with the local indigenous grape: Tannat with the Cabernet(s) or Merlot. Vin de Pays des Côtes de Gascogne (mainly located in the "Gers") produces more than 600,000 hectoliters of certified "Vin de Pays" wine each year and is the number one French producer of Vin de Pays white wines. Taking all varieties into consideration, the Gers is the fifth largest producer of Vin de Pays wines in France. Côtes de Gascogne wines represent a commercial potential of more than 80 million bottles per year. Roughly 91% of the wine produced is white, while only 8% is red and 1% is rosé. 75% of Côtes de Gascogne wine is sold for export. Côtes de Gascogne white wines are a particular favorite in northern European countries, such as Belgium, England, the Netherlands, Norway and Sweden. The United States and Asia also enjoy their fair share. In fact, these low-key, fairly unknown Côtes de Gascogne are some of France's most widely exported white wines worldwide. However, due to their usually low price and somewhat uncomplicated yet easy going and food friendly profile, people tend to buy them and drink them without even paying attention to their provenance, gape variety or taste, thinking that it is just a nondescript little French wine. But you'll be surprised, at the store we have about 5-8 whites from the Southwest of France that have been consistently flying off the shelves all year round. Obviously not for the cellar, they offer their best within the first 1-2 year after bottling. If you like bright and racy whites for everyday drinking, Vin de Pays des Côtes de Gascogne whites are real gems. Aramis is a label or a brand covering the bottle of a great, racy, crisp white and a generous, full, earthy red with a firm yet integrated tannic structure. The label is fairly sober and simple yet distinguished (especially with this 17th century writer hand holding a feather ink pen), however even the back label doesn't say much about these two wines, but both were bottled by SARL Pierre Laplace located at Aydie. The whole venture is very much a family affair – the three grandsons and granddaughter of Frédéric run the estate between them – Francois in charge of the business side; Jean-Luc is in charge of wine-making; Bernard manages the vines; and Marie presides over the office, whilst their father Pierre is in semi-retirement but still very much involved. Their Madiran wines are some of the flagships of the appellation made with at least 80% Tannat aged in small barrels and large used oak vats. Made from 50% Ugni Blanc and 50% Colombard vinified in stainless steel tanks, this wine is really fresh and crisp, with high, racy acidity and overall quite tart. The robe is really pale yellow color. The nose is discreet, fresh, floral, almost grassy and flinty (somewhat Sauvignon like) with white fruit, citrus peel, white blossom and mineral. The palate is clean, fresh, light, cleansing and very summery with the same flavor profile as in the nose. Excellent balance, focus and brightness in a simplistic kind of way that will greatly enhance a dozen of oysters. Pair it also with simple green salad and cheeses. Pan seared or grilled white river fish will be a perfect dish. Lovely and tart. Made from 60% Tannat and 40% Cabernet Sauvignon vinified in stainless steel tanks, is a gentle, easy going, full (without being heavy) and structured red wine. The color in the glass is quite dense and opaque yet expected for a Tannat wine. The dry nose, here again, is quite discreet yet delivering dark cherry and berry, plum aromas with earth and spice notes. The palate is rather dry due to the tannins, but it still offer nice, ripe, generous dark fruit and plum flavors intermingled with earth, spices and mineral, and an attractive rustic Terroir oriented touch. Pair it with cold cuts, "charcuterie", cheeses and earthy, wintry dishes. Overall, both wines are quite enjoyable, especially even more for the price. I need to admit that the white is more summery due to its crisp, vivid nature. However, although if the red has a Fall-Winter profile, like the white, it can also be enjoyed at any time for any occasion. I personally preferred both wines with food rather than on their own. Wineberry is a small, low-key yet prominent importer and wholesaler of French wines, owned by Eric Dubourg, a young an dynamic French man (from the right bank of Bordeaux like me) with innovative and fresh ideas with a twist of traditional old school attitude. The Wineberry website doesn't have any descriptions yet for these two wines that are new to the portfolio.